The Association of Dance Conventions and Competitions (The ADCC) was founded in 2014 to support the 300+ dance competition and convention owners, 40,000+ dance studios, and hundreds of dance merchants across the country as we work together to expand and professionalize our industry. 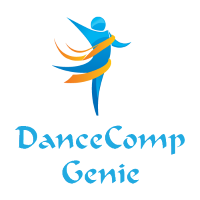 The ADCC’s membership grew out of a previous organization, the FDC (Federation of Dance Competitions), but The ADCC is a new and completely separate legal entity. The vision for the new organization was to create a nonprofit trade association where competition owners could come together as colleagues in a professional, supportive environment to improve the industry as a whole. Steve Wappel of StarQuest brought in Tammy Hauser of Blue Sky Thinking to oversee the new organization. Working with then Board Chair Michelle Kresge of Spotlight Dance Cup, Hauser began to lay out a vision. Together, they began building a strong Board of Directors, adding new Members and establishing programs, policies and governance processes that would benefit the industry as a whole. Hauser now serves as Executive Director and works with a virtual team based in Sarasota, Florida, providing administrative, membership and design services for the association. The ADCC is governed by a 10-member Board of Directors and managed by Tammy Hauser, CEO of Blue Sky Thinking, Nonprofit and Association Management Consultants, based in Sarasota, Florida.